We are pleased to offer free Internet access at reception, free Wi-Fi in rooms and throughout the hotel and apartments. Restaurant recommendation and booking service. Brollies to use during your stay. Please vacate your room by 11.00am on the day of your departure, but feel free to leave your luggage at the hotel until you are ready to continue your journey. We try to get the rooms ready for you to check-in as early as possible but we cannot guarantee a check in before 2.00pm in the hotel and 3:00pm for the apartments. However you can arrive as early as you want and we can store your luggage until the room is ready. 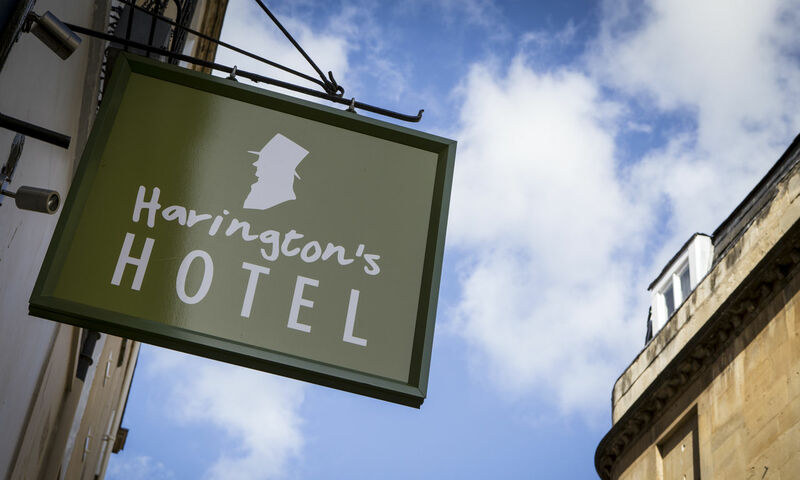 Harington's Hotel is situated in a beautiful Grade II-listed building almost two centuries old and, thankfully, every effort has been taken to preserve its original character. Due to our historic status we don’t have a lift, so if you can’t manage stairs easily please do ask us for a room on a lower floor (staff are available to help with luggage). Given our central prime location, please also note that room sizes can be smaller than you might be used to in out-of-town locations. All apartments are located in the historic city centre of Bath. All apartments are located within listed buildings. No lift access all are accessed via stairwells. As the owners of the hotel with a young family ourselves, we are very understanding of our guest needs when travelling with young ones. We have 3 family rooms and 1 large apartment to suit all different needs. During breakfast we have highchairs and a breakfast to suit all ages. We can offer cots (babies in cots stay free of charge). We are very happy to help sterilizing bottles, liquidizing food we also provide a box of toys for entertainment. Harington’s Hotel operate a non-smoking policy within the hotel (including guest’s rooms) and in both the apartments. The hotel patio is open throughout the day for guests who wish to smoke.